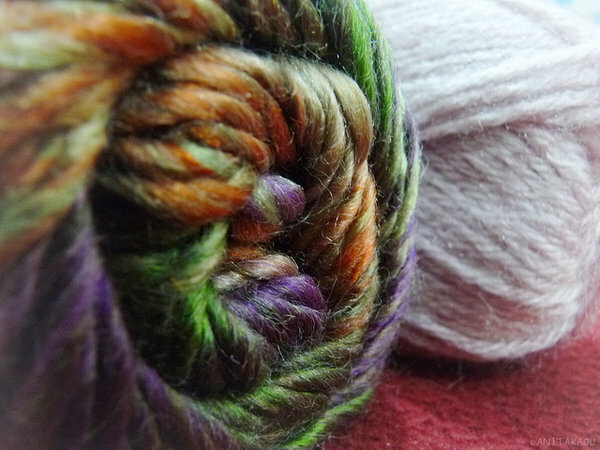 I had this beautiful skein of yarn that I wanted to make into a hat, highlighting its colors. I’ve made a lot of hats the usual way (knit round and round), quite a few with variegated yarn, and the colors finally look all mixed and splotchy. Of course, some color combinations look good that way, but I didn’t think this was one such combo. So I decided to knit a sideways hat. 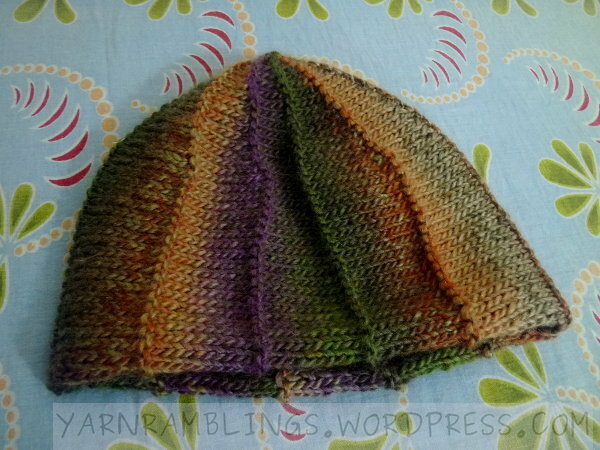 A sideways hat is made by knitting to and fro, where every row runs from the bottom of the hat to its top. 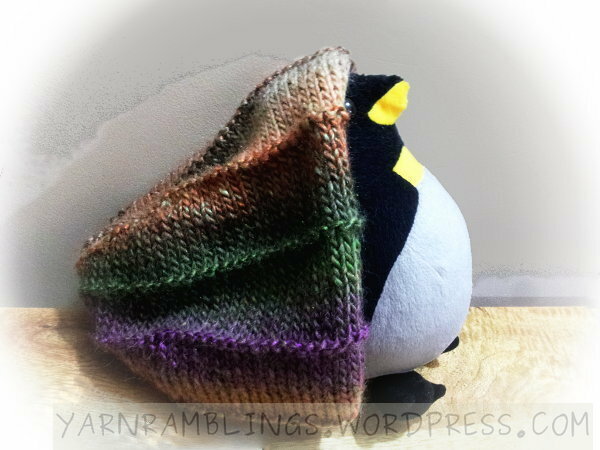 Well, not every row; some rows have to be short so the hat curves towards the top. 🙂 And when I think short rows, I must mention TECHknitter’s short row tutorial. She describes not one, not two, but five different methods of making short rows! And her instructions are just divine! As if they’re not already easy to read, she also provides wonderfully clear illustrations that make your day! I don’t usually make consecutive exclamations, but there you go… 🙂 I’ve learned quite a bit of knitting techniques and tricks from TK, and not just short rows. So anyway, I made a sideways hat with this skein. I started with a provisional cast on, with enough stitches to eventually span the required length. On every right-side row, I knit 4 stitches less than the previous row before wrapping and turning, until the last short row was about half the length of the hat. Then it was time for a full row on the right side, picking up and knitting the wraps. The next wrong-side row was full of knit stitches too, to give it those purly ridges on the right side. That completed one ‘wedge’. I repeated these steps until the hat was wide enough. I’d originally intended for the ridges to be slanted, but in the course of figuring out the short rows, I forgot all about the slant. No matter, I love this version — how beautifully it shows the colors of the yarn. Penguin does too, evidently. 😉 And you?